for my third time back to the dessert table. WANTS me to have it. It WANTS ME!" 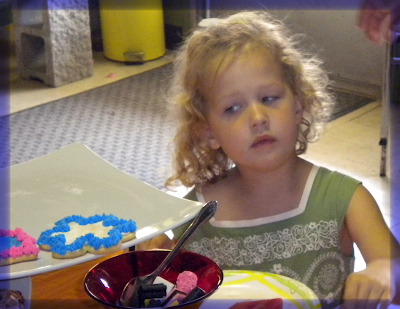 And the world narrows to Lily and the cookie. Score 1 for temptation, obedience zero! To tell the truth, this was about her 6th "temptation." 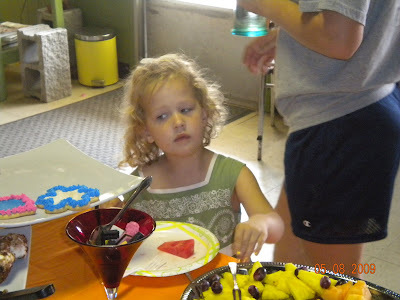 The watermelon on the plate was for show. She just kept it there in case I came looking. Um...how did you come up with 12? OK, Chris, 12 was a bit of an exaggeration...but we'd had a long day. Lily was CONSTANTLY tugging on my skirt asking me if she could have another "snack." I changed the ending because it probably didn't make any sense. Thanks. Now my second question...why don't you go into photography? 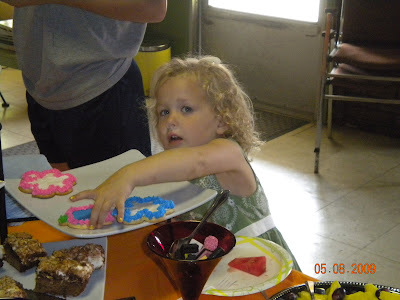 Between that picture of Lilly and the Cookie (how do you get those shots!?) and the one of Tim at the "Fairy" party...you are amazing! 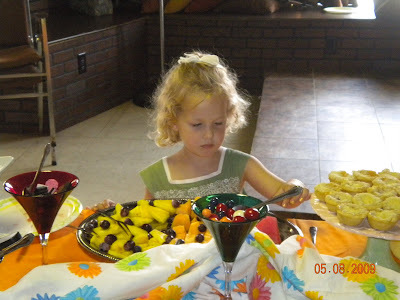 Love that you got pictures of Lily at the dessert table.